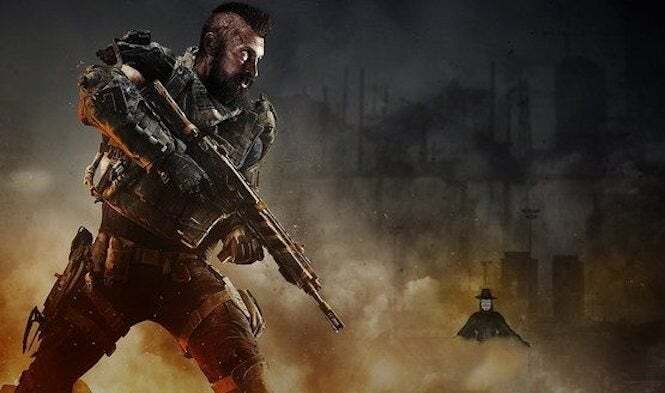 While Red Dead Redemption 2 set some impressive sales records in its own right within just eight days, Call of Duty: Black Ops 4 is certainly no slouch. It saw a huge record weekend in its own right; and a new entry on the PlayStation Blog indicates that it’s performed well enough to beat out Redemption as the best-selling digital game for PlayStation 4 for the month. From the looks of things, Soul Calibur VI and WWE 2K19 had solid debuts as well; and Castlevania Requiem was quite popular with the retro crowd. As for PlayStation VR, the engaging platformer Astro Bot Rescue Mission topped the list, followed by Superhot VR and Job Simulator. No doubt the just-announced Beat Saber will be getting some attention later this month. As for free-to-play games, nothing could beat Fortnite: Battle Royale, which took the number one slot. Close behind in second was Warface, followed by H1Z1’s new Battle Royale mode. As far as PlayStation Classics go, Grand Theft Auto: San Andreas continued to be a big hit with fans, but Rockstar Games also benefited from strong sales with Bully, which landed in the second place spot; and Metal Slug Anthology found a good spot in third place. Surprisingly enough, War of the Monsters found a fifth place position, finding good popularity with the Halloween crowd. As far as how November’s numbers will shape up, it’s too soon to call. Battlefield V is on the way; and Spyro Reignited Trilogy is set to spark things up as well. We’ll see where the cards fall by this time next month.